Please join us as we host the Ernest C. Trefz Memorial Sporting Clays Invitational at the Ten Mile River Preserve in Dover Plains, NY on Friday, August 23, 2019. The event will benefit critically ill children and their families in the Hudson Valley and beyond. This 8th annual charity sporting clays event is named for the late Mr. Trefz (1932-2017), who was a noted businessman, philanthropist and best known for operating 44 area McDonald’s restaurants. He was the longtime CEO of the Trefz Corporation, a family property management business, and the namesake of the University of Bridgeport’s business school. Signage at Shooting Station along the course. Due to production deadlines, signage must be reserved by Friday, August 9, 2019. Individual Shooter, Sponsor Board and Station Sign. Due to production deadlines, signage must be reserved by Friday, August 9, 2019. Four Shooters with breakfast and BBQ luncheon. Four Shooters, breakfast, BBQ luncheon, signage in main pavilion and at shooting station. Due to production deadlines, signage must be reserved by Friday August 9, 2019. Four Shooters, breakfast, BBQ luncheon, signage in main pavilion and at shooting station. Also includes 2 additional luncheon guests. Due to production deadlines, signage must be reserved by Friday August 9, 2019. Four Shooters, breakfast, BBQ luncheon and signage on each cart. (All of the attendees travel to the shooting stations in a golf cart.) Also includes company name on sponsor board and the opportunity to distribute company items in welcome bags. Due to production deadlines, signage must be reserved by Friday August 9, 2019. Four Shooters, breakfast, BBQ luncheon and signage at shooting station. Also includes 4 additional luncheon guests, company name on sponsor board, and the opportunity to distribute company items in welcome bags. Corporate banner can be displayed in main pavilion. Due to production deadlines, signage must be reserved by Friday August 9, 2019. 8 Shooters, breakfast, BBQ luncheon and signage at shooting station. Also includes 8 additional luncheon guests, company name on sponsor board, and the opportunity to distribute company items in welcome bags. Corporate banner can be displayed in main pavilion. Due to production deadlines, signage must be reserved by Friday August 9, 2019. This annual charity sporting clays event is named for the late Mr. Trefz (1932-2017), who was a noted businessman, philanthropist and best known for operating 44 area McDonald’s restaurants. He was the longtime CEO of the Trefz Corporation, a family property management business, and the namesake of the University of Bridgeport’s business school. 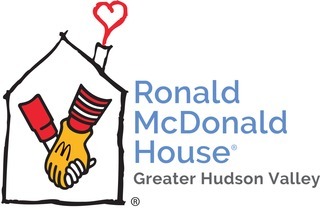 Ronald McDonald House of the Greater Hudson Valley gives families with critically ill and traumatically injured children the gift of togetherness and keeps them close to the care and resources they need. The House has 12 bedrooms that are filled to capacity almost every night and meals, laundry and respite services are provided for the families. Located on the campus of the Westchester Medical Center in Valhalla, NY, the House is just steps away from the Maria Fareri Children’s Hospital. Since it opened in 2011, more than 1,600 families have stayed at the Ronald McDonald House of the Greater Hudson Valley.